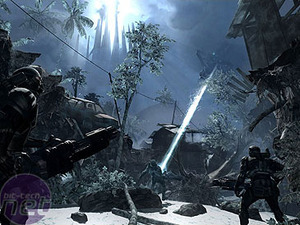 We first heard about Crysis earlier this year. It's German developer, Crytek, has emphatically denied the new game is Far Cry 2 but instead will be more of a spiritual successor to the gorgeous tropical FPS hit of 2004, Far Cry. We have been salivating over the technical details and been entranced video footage. 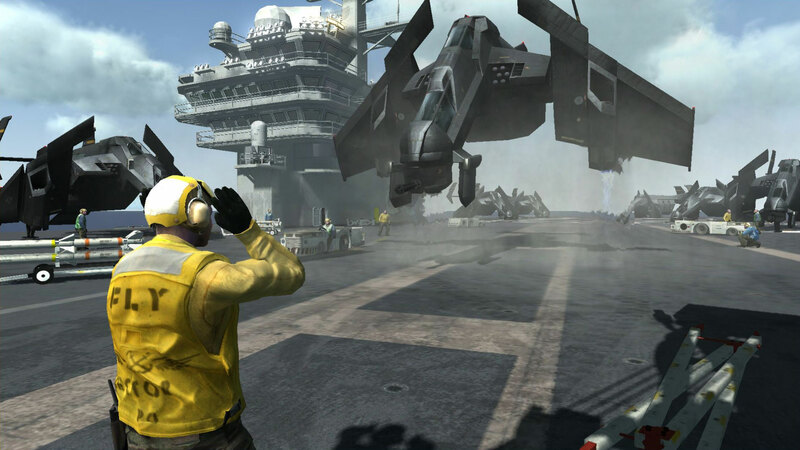 Today we have another new batch of screenshots to show you and Oh. My. God. These two shots are definitely something we haven't seen before. 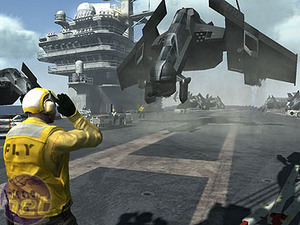 The left hand shot shows an outside scene on what appears to be a futuristic aircraft carrier, with equally futuristic VTOL split-wing aircraft. 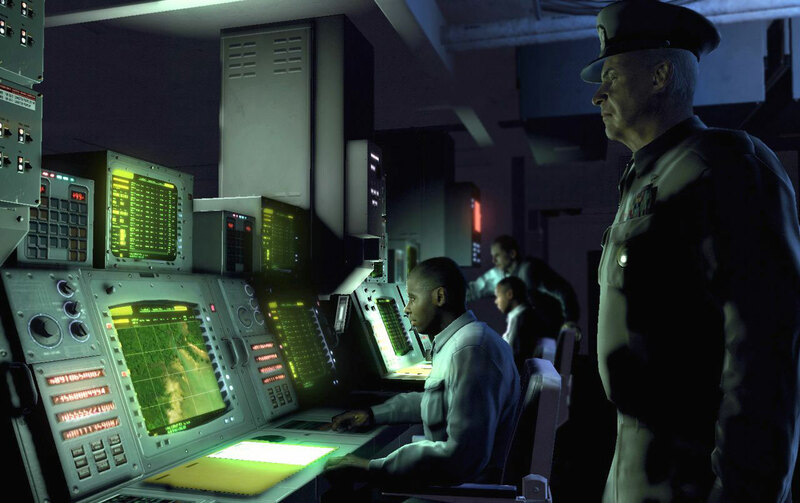 The scale of the scene looks pretty massive with an awful lot of polygons on the screen. Check out the soft shadows on the bottom right too, they look rather funky. Bonus points for spotting the heat distortion from the exhaust fumes on the jet, requiring some pretty hefty pixel-shader grunt no doubt. 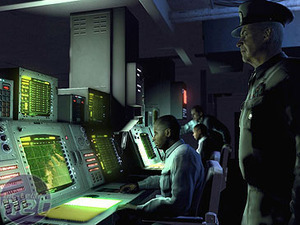 The second scene shows a command centre of sorts - it might be within the bowels of the carrier or maybe a distant navy base. There is lots to learn from this one screenshot. 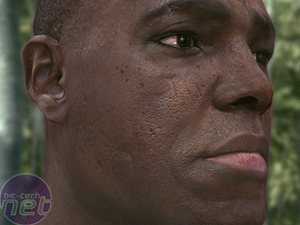 The characters have some of the highest detail we have ever seen in a game and are surely on par with the stuff Epic are able to produce with Unreal Engine 3.0. 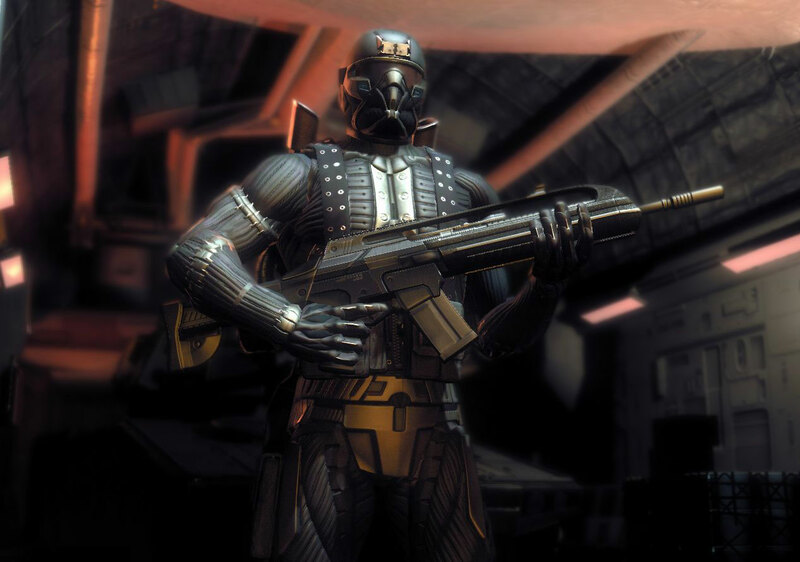 For example, just look at that command officer - not only has the guy got nostrils, but the glow from the console panel creates incredibly realistic shadowing across his jawline. 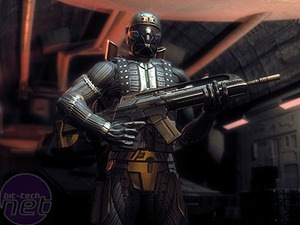 The console itself features very high detail, which we rather suspect may require a 512MB graphics card to support the high-resolution textures; we will need to wait for Crytek to confirm the system specs closer to the game's release. Also worth noting is the Depth of Field effects over the console operator's right shoulder. 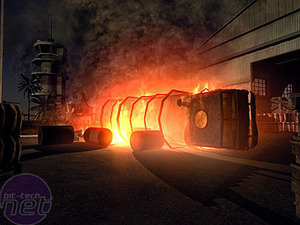 Like Valve's Day of Defeat Depth of Field effects, a leak and bleeding free implementation is used to supported focus changes, making the gameplay feel more cinematic. We could talk about the guy with the gun on the left but honestly, we don't know much about him. This is of no great consequence at this early stage because you no doubt just spent several minutes staring at the close-up of the guy on the right before reading this paragraph. The detailing on the human head here is absolutely phenomenal. Save for a tiny bit of aliasing around the lower eyelid, there's almost no way to tell that this isn't a photo. 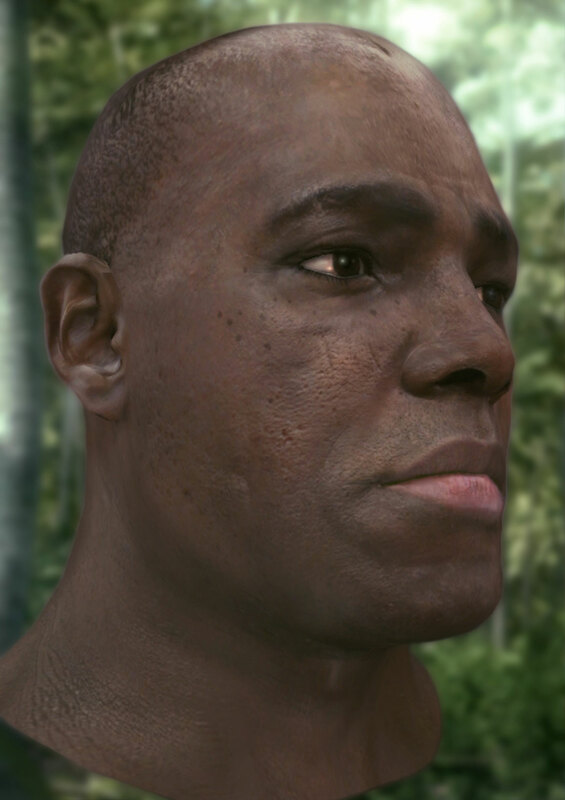 The normal mapping on the skin provides for a puckered texture and the lighting and self-shadowing technology that has been implemented give it a realistic hue. The game will also feature subsurface scattering, which simulates the effect of light on the flesh beneath the skin, which in turn affects the appearance of the skin itself. Again, we don't have any description for what's going on in the left screenshot but it seems to indicate that there will be some squad-based gameplay involved, with other guys on your side facing up to some massive enemies. Is that a tractor beam shooting out from that ship or is it a weapon? 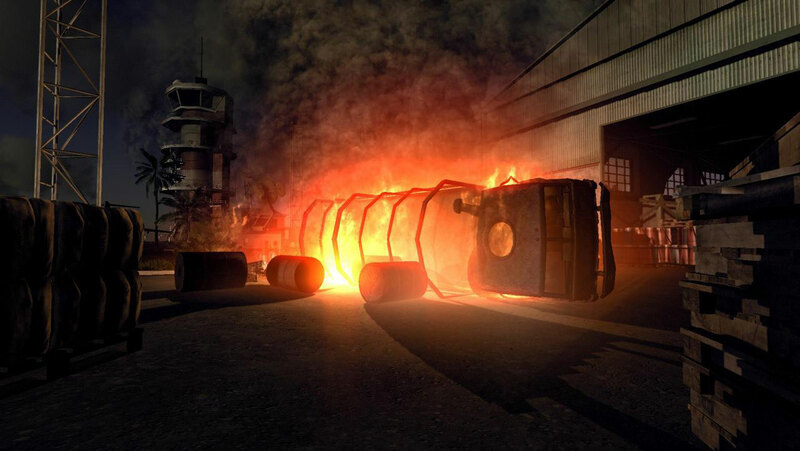 While you decide, we're going to drool some more over the HDR lighting effects. Initially, the screenshot on the right may not seem overly impressive but we encourage you to peel the onion. For one, fire is not only a difficult effect to render in a believable way, but it then also very difficult to convey in a single frame. We'll reserve judgement until we see this one moving. However, look carefully in the background and you will see what qualifies as the most impressive smoke ever. We can't see the source but it's very, very big. 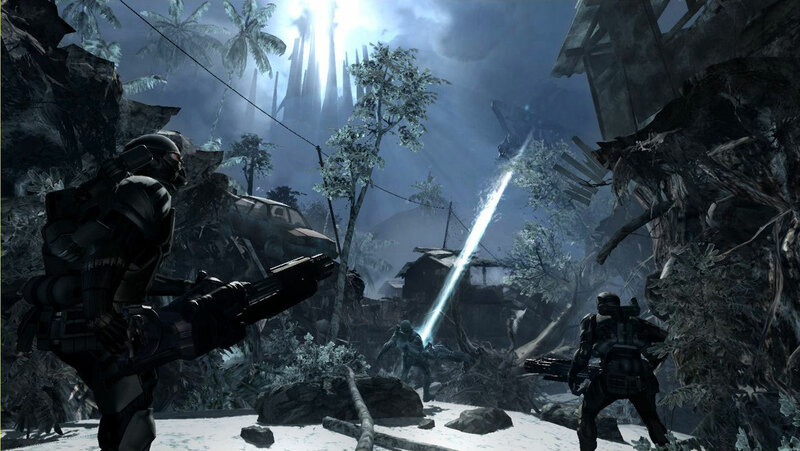 Electronic Arts has unveiled a new Crysis branded PC that will run Crysis: Warhead at a decent rate.